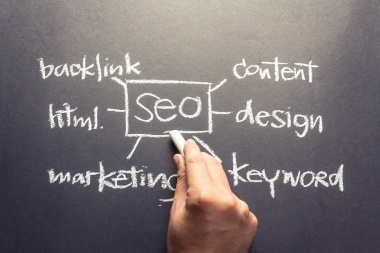 SEO (search engine optimization) search is important for businesses around Naperville. When people want to search for their industry or related terms for their business, SEO search makes it possible for them to be found quickly and easily. Without it, their brand is lost in pages of search results. Design & Promote is up to date on the latest methods and best practices to improve visibility of a brand online, call us today at 630-995-7109 or complete the form on this page for more information. Design & Promote will evaluate your current online rankings and formulate a plan with you on how to improve your visibility online. We will dissect your marketing to gain a deeper understanding of your business and create a keyword strategy aimed at improving your rankings on search engines to bring more eyes to your website and people to your store. Utilizing industry-standard tools, your business will be our business to promote. Search engine rankings fluctuate almost constantly, and businesses must be ready for algorithm changes and shifting markets. The insightful team of SEO specialists at Design & Promote will monitor your rankings and your competitors to understand what might be an edge for them, and possibly an opportunity for you. Our team remains in contact with you every month, and you will receive SEO reports to show your progress in keyword rankings, as well as regular input from our SEO team on projects delivered and strategies to consider. As the landscape of organic search shifts, our SEO search team is there to guide you to success. Design & Promote is a local Naperville business, and we want to see our fellow businesses succeed. Work with us to find your target audience and how to reach them. With our services, you will find new markets and customers through increased search engine presence. Fill out the form on this page for more information on how our SEO search plans will benefit you.